The Court Turns a Right Into a Duty as it Orders a Board to Assess its Members to Pay a Creditor. Second Appellate District Court of Appeal in JamesF. O'Toole Company vs. Los Angeles Kingsbury Court answers the question: can association members be forced to pay, by special assessment, debts incurred by their association? Essentially, O'Toole upholds a lower court order requiring a community association to levy a special assessment to pay a judgment creditor. The importance of O'Toole is not that a community association was required to pay its debts--every person or entity should pay what it owes. The importance of O'Toole is that the court required the board of directors to levy a special assessment upon the members, one that the members had specifically rejected, to pay the obligation. 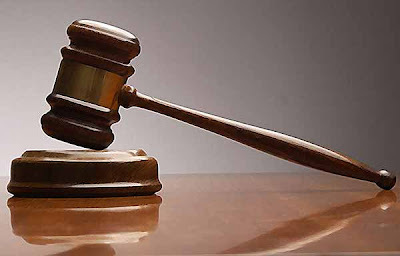 The court also appointed a receiver to enforce collection of the assessment, and pay the creditor. To read the rest of this article, click on the title link above. Are They Building Condos Better? 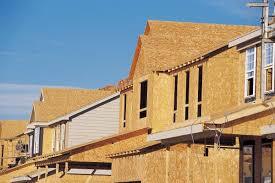 Do New Construction Methods and New Materials make a Better Product? Here was the typical multi-family building as constructed 25 years ago: Wood siding, single pane aluminum windows, flat roof, a one or two-ply built-up roof membrane, and galvanized iron water pipes. To make matters worse, the siding often wasn't real wood. Wood substitutes like Masonite, essentially sawdust mixed with glue and pressed in a steam press to resemble wood planks, was used extensively. This was a design formula for disaster. The siding dissolved over time. The flat roof usually didn't stay flat, it deflected causing water to collect because it had nowhere to drain. These “ponds” stayed on the roof until they evaporated. The roofing materials used then could not resist this continued immersion in water and failed prematurely. The plies became separated and the water quickly found its way into the interior of the building. Or, the moisture that the material absorbed heated within the plies and the resulting vapor caused huge blisters to appear on the roof, blisters which eventually cracked and became yet further sources of water leaks. The iron pipe corroded over time, of course, and many buildings had to have all of it removed and replaced with copper. Many single family houses were built the same way, but since it was up to the owner to deal with all of this, it never gained much attention, because if the owner wanted to maintain the value of her property, she had to repair these problems by re-siding, re-roofing, including adding slope to the roof, and eventually re-piping. But the condominium association saddled with this nightmare had a more difficult problem—it had to find the cash to do the repairs, cash that has always been in short supply. We've written for years about the long-term effect of an association's inability to maintain its buildings—a gradual deterioration of both the physical plant and the value of the individual interests.